Ms. DeGooyer is a member of the firm's Real Estate section. Her practice concentrates on real estate acquisition, development, financing and leasing. She has represented buyers, sellers, lenders, agents, developers, contractors, landlords and tenants, and investors in the financing, acquisition, development, leasing and sale of commercial, residential and industrial properties. 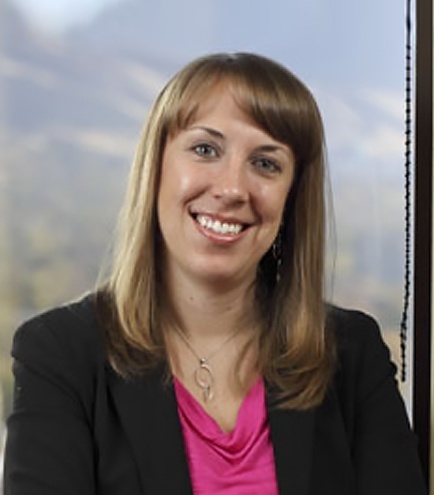 Ms. DeGooyer also has extensive experience in regulatory compliance matters. Served as General Counsel for the Utah Division of Real Estate. Represents buyers, sellers, lenders, agents, developers, contractors, landlords and tenants, and investors in the financing, acquisition, development, leasing and sale of commercial, residential, and industrial properties. Represents buyers, sellers, lenders, brokers, agents, appraisers, contractors, and developers in regulatory compliance matters. Represents developers and contractors in several large planned unit developments. Advised the state of Utah in the re-allocation and sale of property owned in trust by members of the FLDS church. Practiced as an Assistant Attorney General for the state of Utah, 2010 - 2013. Practiced with Brownstein, Hyatt, Farber & Schreck in Las Vegas, Nevada, 2009 - 2010. Practiced with Christensen, James & Martin in Las Vegas, Nevada, 2004 - 2009.